MAKE A DIFFERENCE FOR A LOCAL FAMILY TODAY! One of your neighbors could use some additional help right now. We are raising funds to help local families through the winter months. We serve hundreds of families each month that need one or more of our services. They may have a special needs child or adult, or the family situation may be stressed to the breaking point. Whatever it is, New Hope can help the parents find a solution. In these challenging times we need your help more than ever to continue to help local families. For them, HOPE is HERE. "I didn't know what I was going to do from one day to the next," said Esther Eskridge. With the expenses that come with two little children — diapers, formula, toys — she found herself in need of help without knowing where to turn. 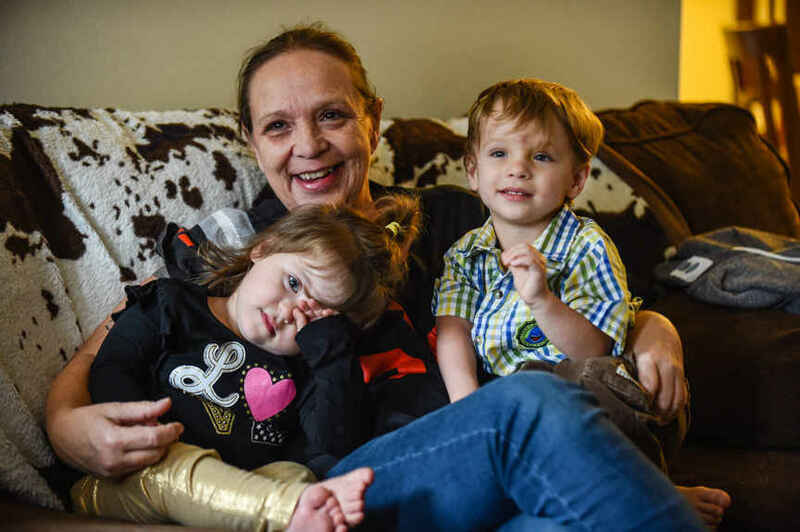 For Esther Eskridge, a single grandmother raising twin 2-year-olds, things aren't always easy. But she's not going to give up. The family recently moved to an apartment in Jeffersonville and their home is full of love — even if sometimes things are a little crazy. But last fall, she wasn't sure how she was going to make it. Esther has worked as a restaurant server for the past 12 years, but she said the nature of the work — long hours, always running, always on her feet — was becoming increasingly difficult for her. In addition, she has to work to make sure her pay gets the children what they need. "It's hard," she said. "I make $2.55 an hour plus tips and you've got to buy two bags of diapers [for different sizes] and you've got just enough to buy one bag." Struggling with bills and on the verge of losing her home, Esther got help from a New Hope Services case manager to get things straightened out and find the resources she needed. They also met weekly, talking about goals and next steps.